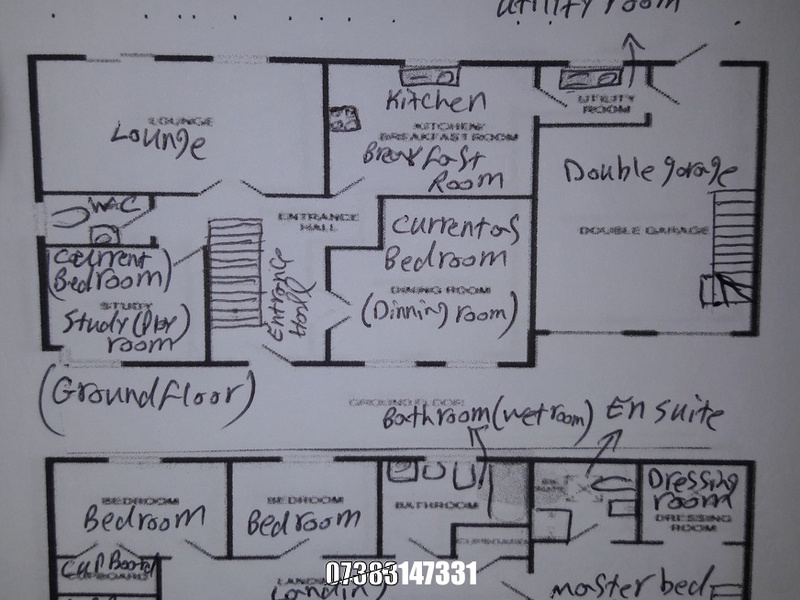 CONSIDERING & VIEWING THIS PROPERTY WITH LOTS OF POTENTIAL IN DETAILS IS HIGHLY RECOMMENDED FOR THE PEOPLE WHO KNOW PROPERTIES VERY WELL & LOOKING FOR GROWTH . 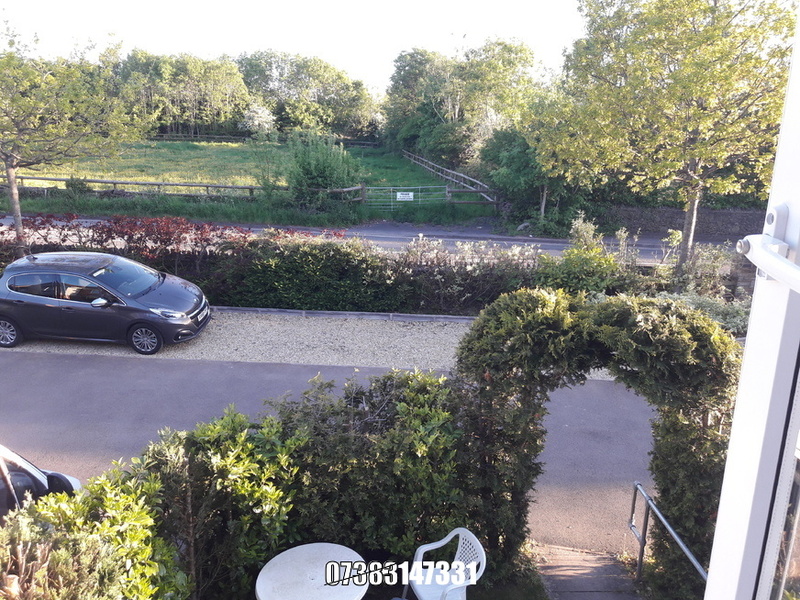 this very nice property is suitable LARGE FAMILIES ( looking for space ) or INVESTORS ( looking for high income ) as it already has many bright rooms & available facilities of all aspects & still has potential for more & more to offer , such as 2 of the 7 bedrooms both are very good size rooms with good size fitted wardrobe & very good size en suite including toilets & shower enclosure & the first one also has dressing area & TV points & tel sockets as well . 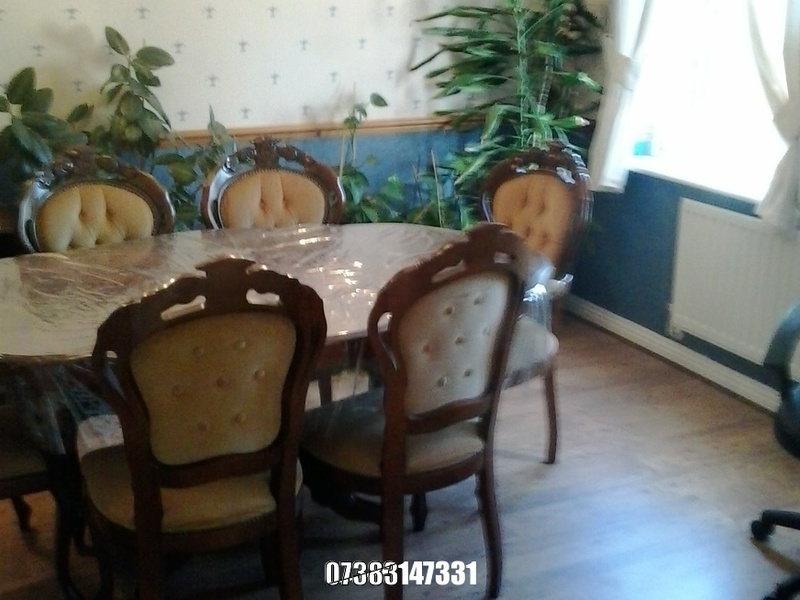 there are 5 double bedrooms on the first floor ( 4 of them with good size fitted wardrobe ) & 2 good size double bedrooms are on the ground floor which anybody likes can turn these to receptions ( study / play rooms & dinning room ) , also there is very good size down stairs clock room & under stairs storeroom . there is also very good size lounge with patio door to the back garden & next to it there is good size kitchen plus utility room with door leading to a nice size double garage which has access to the lovely good size garden with nice fruit trees & decking & side gate to the outside , which has potential for extension to the back which i have done some of the jobs for building a big storage but decided leave it for new vendor as their plan maybe different . i also fitted ( installed ) a staircase from garage to the master bedroom above the garage which can be used as a separate proper self contain & independent living unit / dwelling with very nice lay out , even there is scope for creating another bedroom in the garage as well which in this case property will have : 8 BEDROOMS !!!!!! . there is also very nice size wet room with a large cubical shower enclosure with electric shower & double sliding glass door & toilet & bidet & socket for shaving & above mirrors light . property benefiting from gas central heating system & radiators & double glaze windows all around . 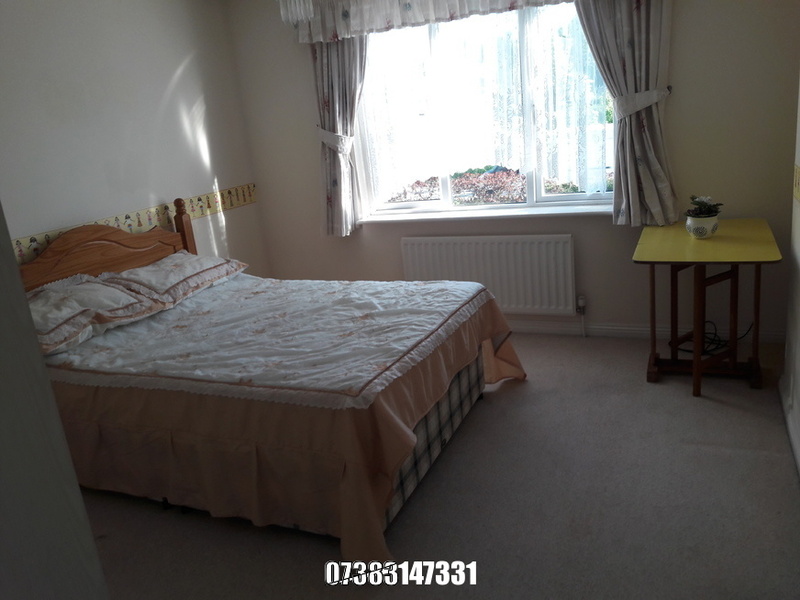 BEDROOM 6 , CURRENT GROUND FLOOR BEDROOM ( EX DINNING ROOM OR RECEPTION ) : 13' by 11'5" ( 3.96 m by 3.48 m ) , Two double glazed windows to front , coved & textured ceiling , radiator , laminate flooring . KITCHEN : 13'4 by 11'10" ( 4.06 m by 3.6 m ) : Double glazed window to rear , textured ceiling , wall & base units with work surfaces over , one & half bowl sink / drainer unit with mixer tap , built in electric oven & gas hob , extractor hood , space for fridge/freezer dishwasher / washing machine , tiled flooring & radiator . 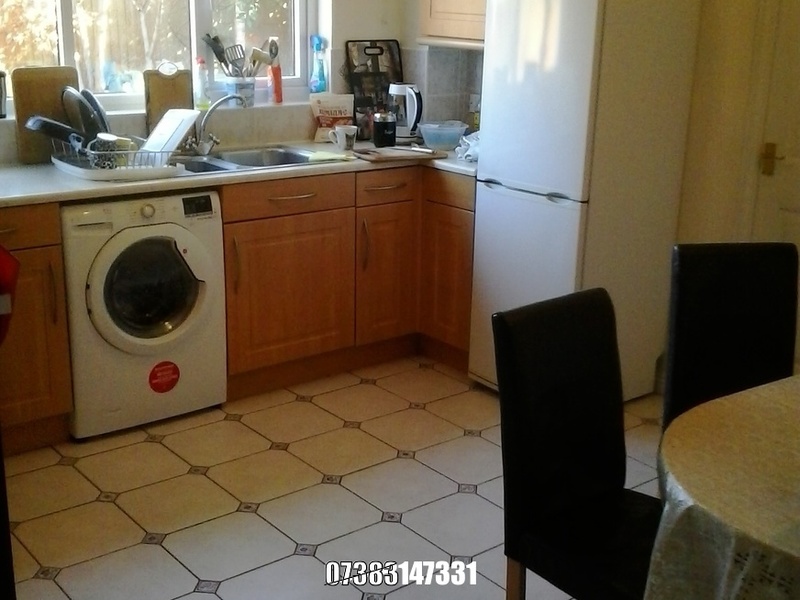 UTILITY ROOM : 6'3 by 5'5 ( 1.9 m by 1.65 m ) : Double glazed window to rear , textured ceiling , radiator , base units with work surfaces over , tiled splash backs , stainless steel sink & drainer , space for tumble dryer & washing machine , tiled flooring , wall mounted boiler , extractor fan , radiator . LOUNGE : 16' by 11'9" ( 4.88 m by 3.58 m ) : Double glazed sliding door to rear , double glazed window to rear , coved & textured ceiling , coal effect gas fire surround , two radiators , television & telephone points . CLOACKROOM : Double glazed obscure window to side , textured ceiling , low level WC , wall mounted sink , radiator . 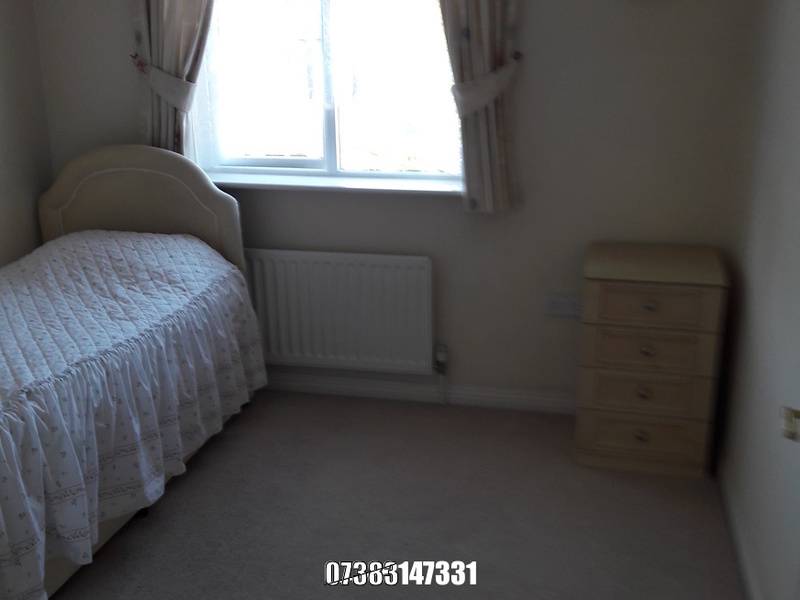 BEDROOM 7 , ANOTHER GROUND FLOOR BEDROOM ( EX STUDY / PLAY ROOM ) : 10'8" ( 3.25 m ) ( to bay ) by 9'2" ( 2.8 m ) : Double glazed window to front , coved & textured ceiling , radiator , television & telephone points , fuse box . 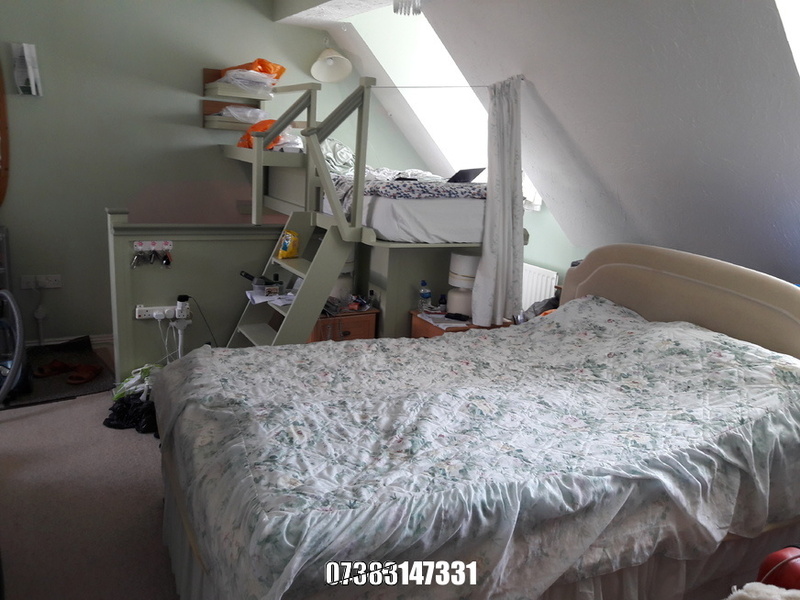 BEDROOM ONE : 16'7" by 12'8" ( 5.05 m by 3.86 m ) : Two double glazed windows to front , textured ceiling , two radiators , loft access , television & telephone points . stair access to garage . 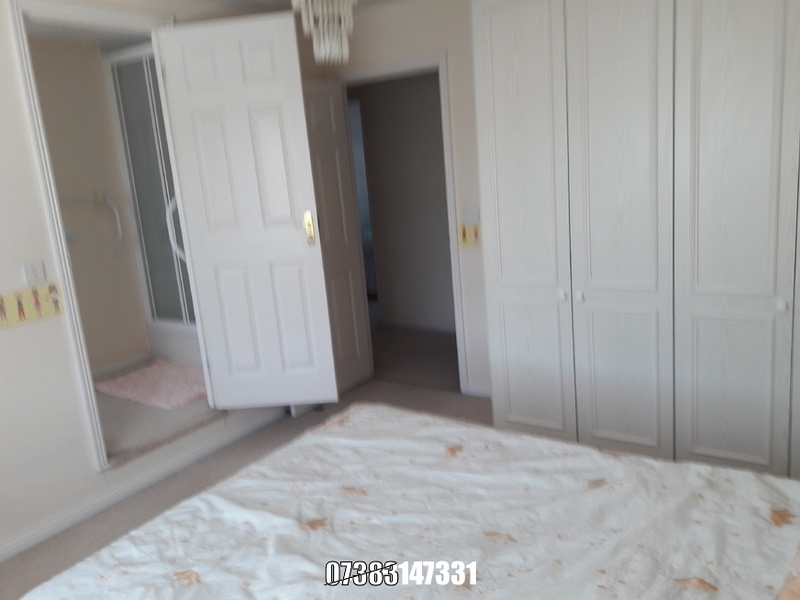 DRESSING AREA : 8'6" by 7'9" ( 2.6 m by 2.36 m ) : Double glazed velux window to rear , two built in double wardrobes , radiator . EN - SUITE : velux window to rear , textured ceiling , low level WC , shower cubicle , vanity sink unit , tiled splash backs . BEDROOM TWO : 12'8" by 11'1" ( 3.86 m by 3.38 m ) : Double glazed window to front , textured ceiling , built in wardrobes , radiator . EN-SUITE : Obscure double glazed window to front , textured ceiling , extractor fan , double shower , vanity sink unit , low level WC , radiator , shaver point . 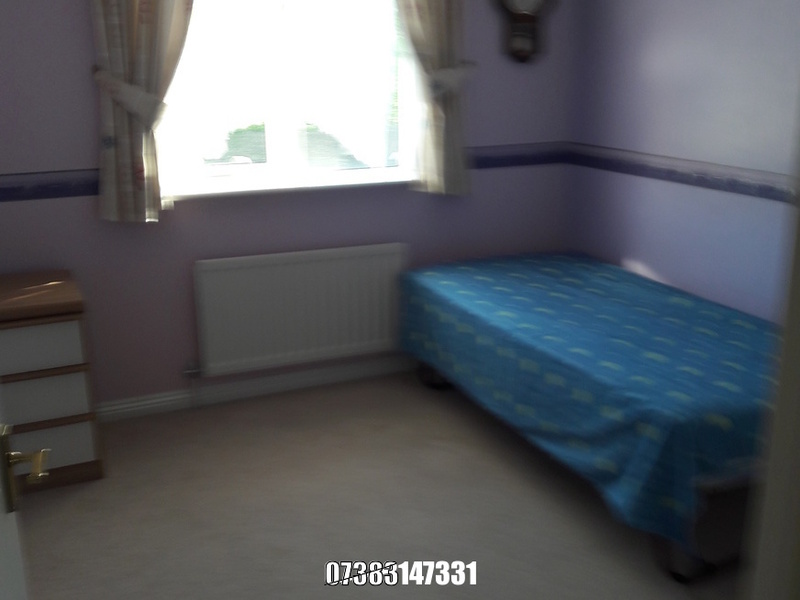 BEDROOM THREE : 10'3" by 9'2" ( 3.12 m by 2.8 m ) : Double glazed window to front , textured ceiling , built in wardrobe , radiator . BEDROOM FOUR : 9'6" by 9'4" ( 2.9 m by 2.84 m ) : Double glazed window to rear , textured ceiling , built in wardrobe , radiator . BEDROOM FIVE : 9'6" by 8'5" ( 2.9 m by 2.57 m ) : Double glazed window to rear , textured ceiling , radiator . 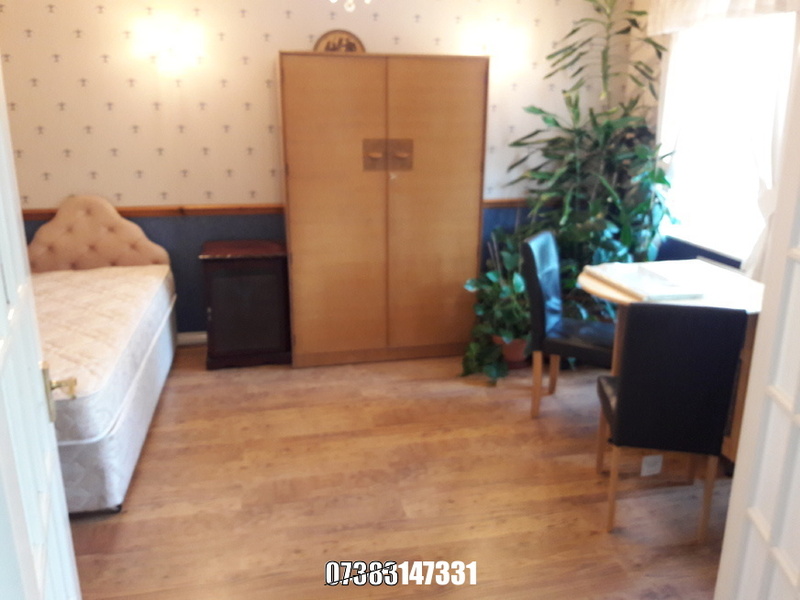 WET ROOM : Obscure double glazed window to rear , textured ceiling , low level WC , bidet , vanity sink unit , 2 extractor fan , radiator , accessible sliding glass door to extra large shower enclosure area with electric shower & bar handles . 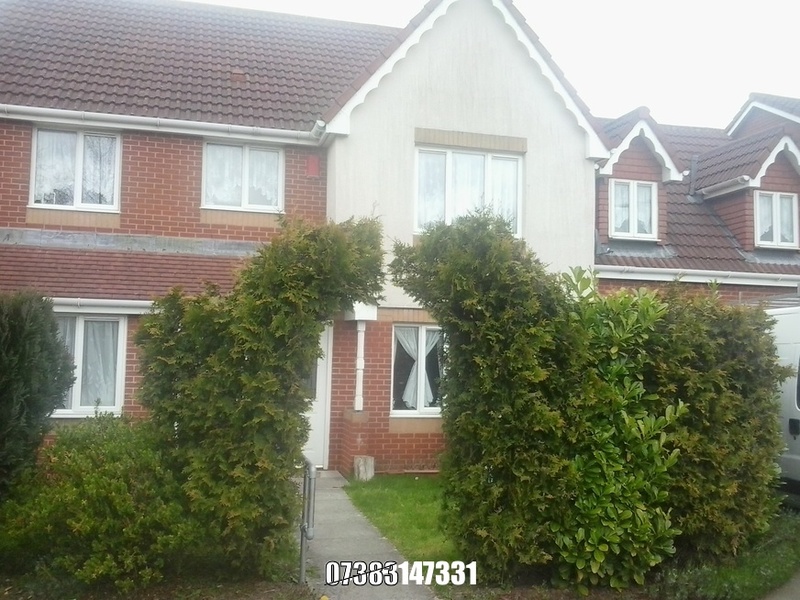 OUTSIDE : FRONT GARDEN : Lawn area with shrub & trees borders . REAR GARDEN : Wooden fence surround , decking area , half lawn with shrub & trees border , side access gate , out side tap . DOUBLE GARAGE : Two up & roll over doors to the front & door opening to back garden & Stair rising to master bedroom above , double socket . LOCATION : the property is located in very nice & safe spot of Pomphrey hill , boarder of lovely areas of Emersons green & Mangotsfield & nearby nice areas of Downend , Staplehill & Frenchay , therefore the property is benefiting from all amenities & facilities of all these areas , such as good shopping centres , schools from ( primary to high schools ) , medical surgeries & good access to public transports to & from other areas & city centre , good leisure centres & libraries & ETC . there are also very good access to nice cycle & foot tracks & ring road A4174 & M32 . UWE & MOD are not far away as well as other good & use full centres & big shopping areas , companies & other big stores . 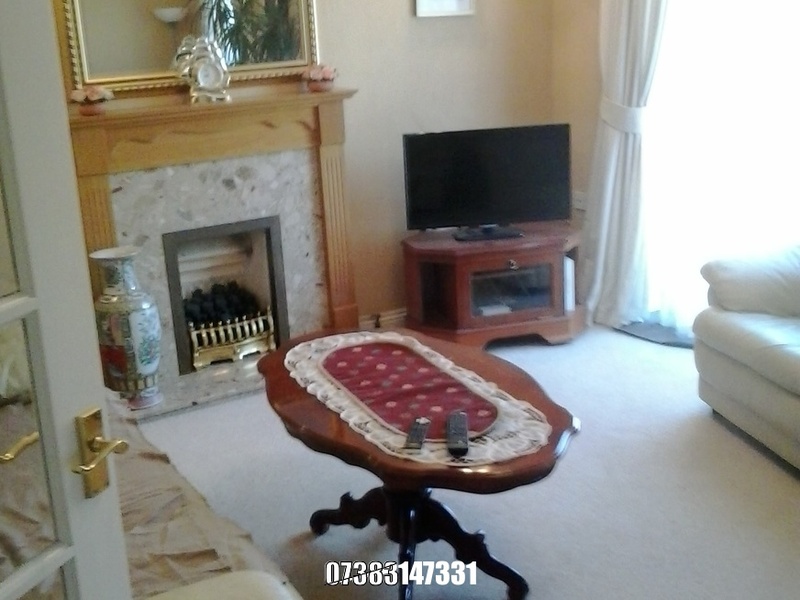 I'm interested in 7 bedroom detached house Pomphreyhill, Bristol.